When asked the question, “What kind of college are you looking for?” many students don’t quite know how to answer. More and more students are undecided on a major, some are unsure of whether they should attend a private or public institution, and many think of applying coast-to-coast. Often the colleges on their lists are not similar at all, though almost every student out there is looking for the same intangibles: the right feel, a good fit, and a place to develop and explore things that might become their passions. But what exactly are they looking for, and where might they find it? For many, the holistic, values-based education offered by Catholic colleges may hold the key. Many of the nation’s most prestigious universities have a Catholic foundation with strong academic reputations to back it up. Yet, life on a Catholic campus is about much more than that. While students are primarily there to get an education, they are also developing as adults and well-balanced people. Education on these campuses does not stop at the classroom door. Rather, students are challenged to think about the human experience, ethics, and social justice, and how these things relate to their education and the communities around them. Academically, students at Catholic institutions are taught in the liberal arts tradition, where they learn how to think critically and communicate effectively. The dignity of the individual is honored, and the values-based education that students gain at Catholic institutions serves them well in a global society. And students do much more than review theories. They put what they learn into practice, often in ways that impact others. Chemistry students explore the social implications of their work, while fine arts majors look at how their talents can be used to better the community in which they live. Students learn how to learn, while also embracing the importance of serving others. While all Catholic universities share a foundation based on Catholic social teachings, many were established by a particular order, giving the school a unique identity. For example, schools may identify as Jesuit, Franciscan, Benedictine, or Augustinian. 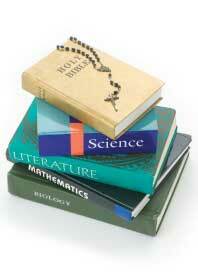 There are others that are not affiliated with a particular order and run as independent Catholic universities. While these classifications impact the school’s approach to educating its students, the common threads are always present, and the focus is always educating both the heart and mind. So why is this holistic approach important? Why should it matter to students exploring their college options? At the center of a Catholic education is the distinct appreciation for life and the individual. This allows for a focus not only on a particular discipline, but also on the learning process itself. Students learn to communicate clearly and effectively. These traits are not only important to students who want to live a life full of compassion, understanding, and success, but are also important to potential employers. Students who graduate with a strong understanding of how their decisions will impact others, who think of the social and ethical implications of their work, and who can speak and write with a clear, confident voice make great additions to every career field. A liberal arts education is a valuable tool for a successful future, and a Catholic college can be the first step to get you there.